You are here: Home / Publishers Weekly celebrate Tiny Owl coming to the US! Tiny Owl books will soon be available in the US! 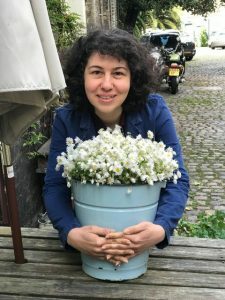 Our publisher Delaram Ghanimifard spoke to Pamela Brill for Publishers Weekly about this exciting move and the history of Tiny Owl. Read the article below! 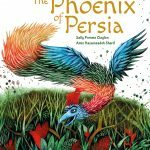 For its first season in the States, Tiny Owl will roll out four picture books that showcase traditional and contemporary Iranian authors and artists, with minor tweaks to the text. “The only adaptations to our titles was to make sure the text was Americanized so that they have the right language and spelling, and feel right for the American audience,” Ghanamifard noted. The company’s initial release, The Little Black Fish by Samad Behrangi, one of her childhood favorites, was originally published in 1968 and was later banned by the Iranian government. “It’s about a little fish who dares to dream big and swim against the mainstream,” she said. 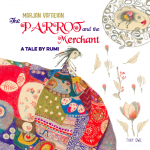 Following this title is the May release of The Parrot and the Merchant, part of the Tales by Rumi series that pays tribute to the 13th-century poet, philosopher, and mystic. The story chronicles the adventures of a female merchant, and artwork by Iranian illustrator Marjan Vafaeian draws upon Persian miniatures. 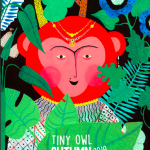 The remaining titles for Tiny Owl’s U.S. debut list include When I Colored the World (June), celebrating contemporary Iranian poet Ahmadreza Ahmadi; and Cinderella of the Nile (July), which has been retold by Beverley Naidoo and features illustrations by Marjan Vafaeian. “Created with colored ballpoint pens, [they] bring a unique perspective to the story inspired by ancient Egyptian art,” Ghanamifard said. 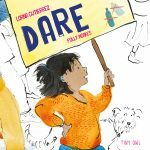 To help spread word of Tiny Owl in the U.S., the imprint had its official launch at the ALA Midwinter meeting last month, where its titles were on display at the Publisher Spotlight booth. 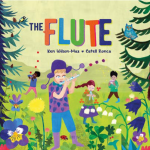 Consortium has signed on as distributor, and the company will also rely on targeted mailings and a limited-edition poster for The Parrot and the Merchant to promote the brand. Watch a video about our US distribution!